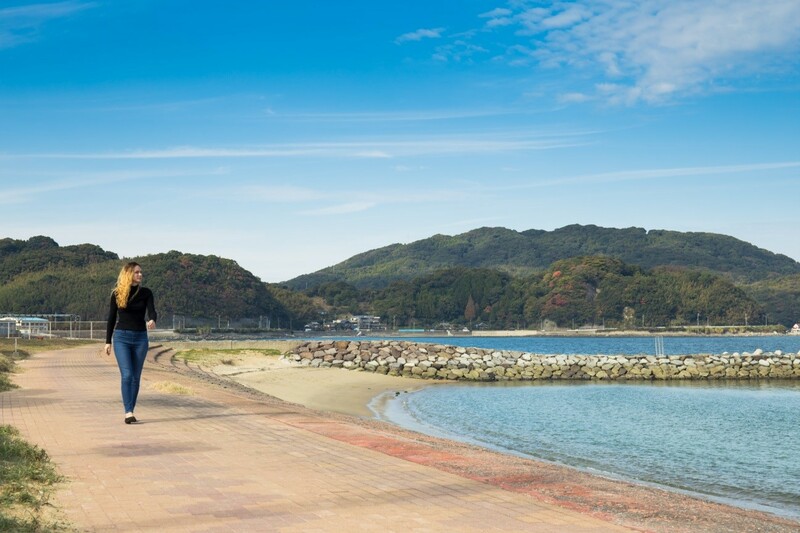 Located in Fukuoka’s Nishi Ward is “Karatomari Ebisu Kakigoya”, where you can take a walk along the seashore while enjoying the refreshing sea breeze. 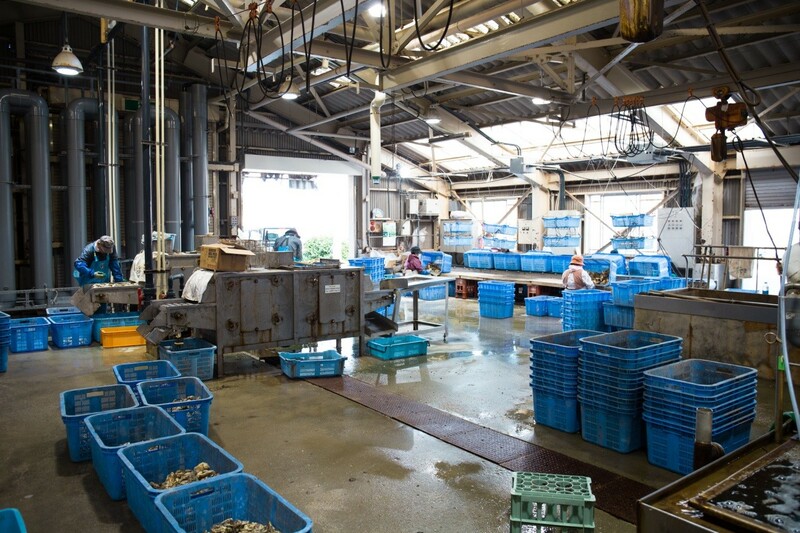 Their oysters are sold under the brand name of “Karatomari Ebisu Oysters”. 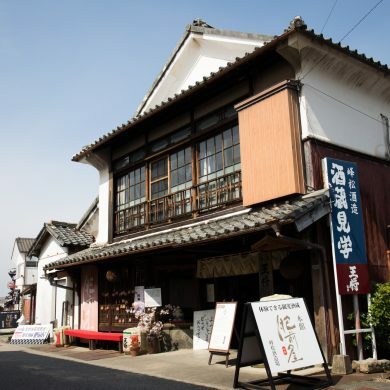 “Karatomari” is the name of the district where their oyster farm is located and “Ebisu” is the Japanese god of fishermen and luck. 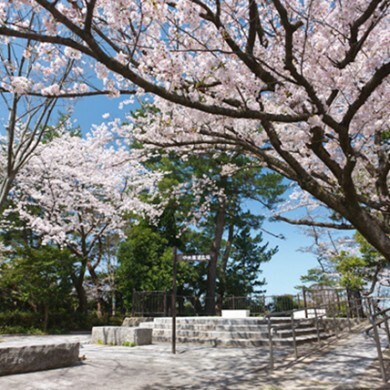 There is also a shrine dedicated to Ebisu in the same district. In 2003 the Fishermen’s Association of Karatomari opened an oyster hut to give the public a place to enjoy their fresh oysters. 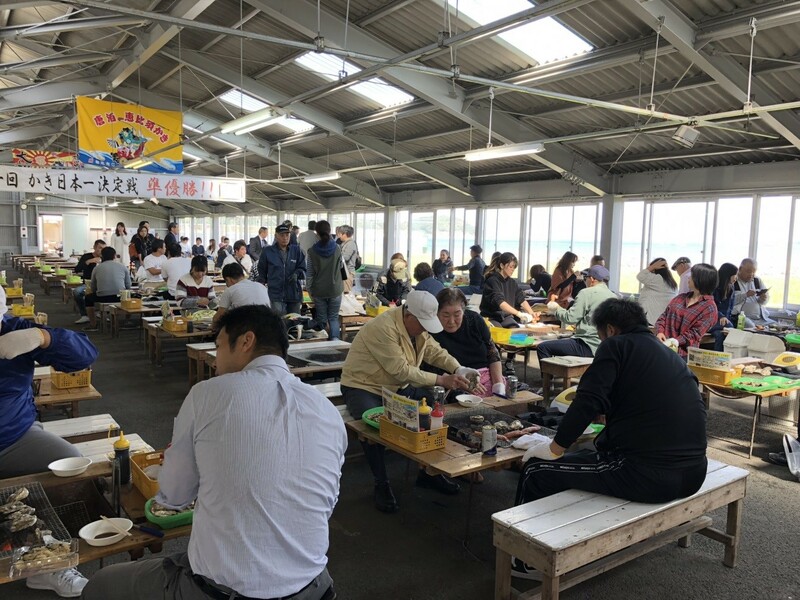 The oyster hut was renovated and expanded in the year 2007, allowing for up to 320 guests, and making it the first authentic Oyster Hut in Fukuoka Prefecture to offer delicious charcoal-grilled oysters. 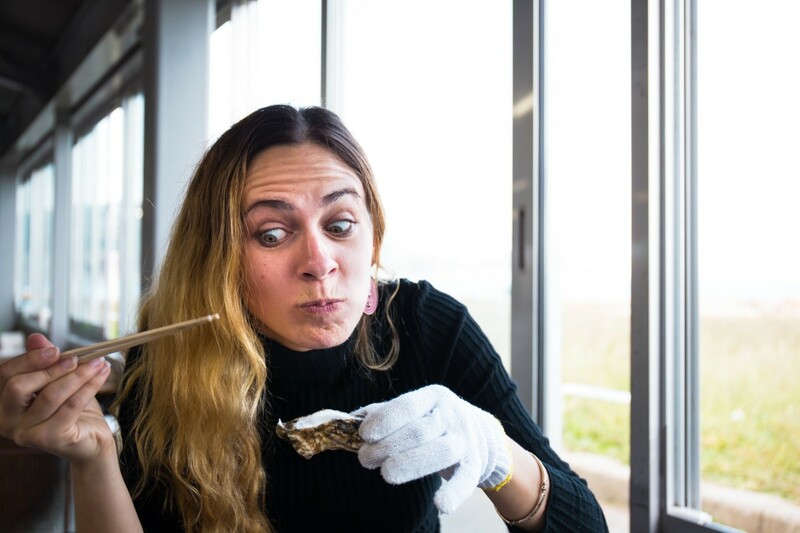 Their large chewy oysters are not only delicious but also undergo rigorous food-safety controls to ensure that you can safely enjoy each bite. 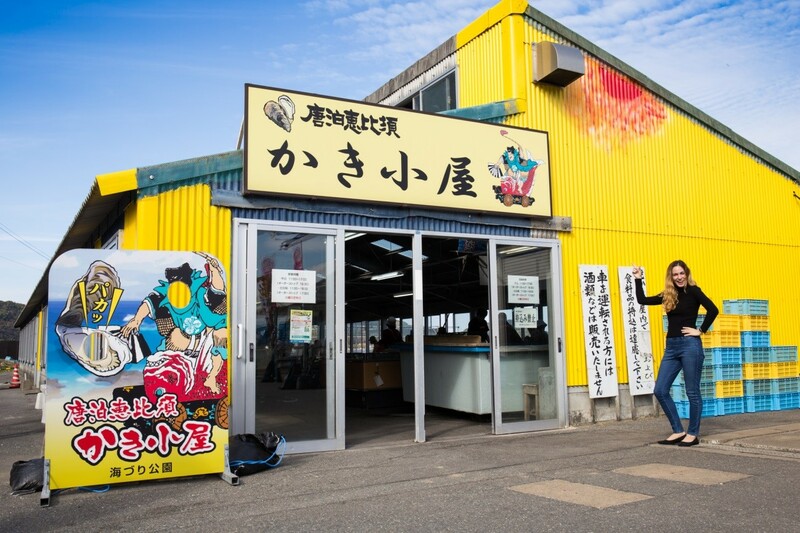 This oyster hut draws not only local customers from Fukuoka but also tourists from all over Japan and abroad. 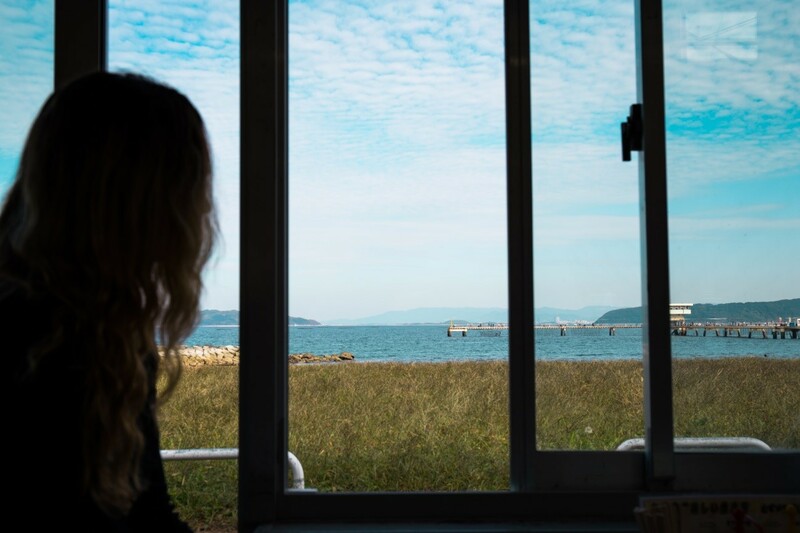 Here are some of the reasons why you simply must try “Karatomari Ebisu Oysters” even though it’s a bit far from the center of the city. 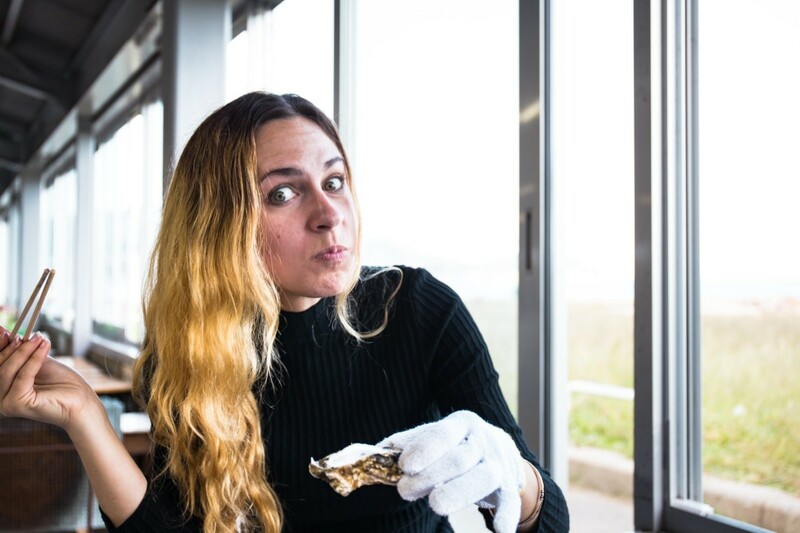 First you will choose and order your oysters (1kg or 500g). After you have paid, take your oysters and you will be shown to your table. 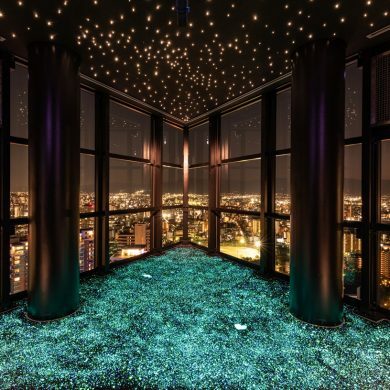 You will have a spectacular view of the water from your table. 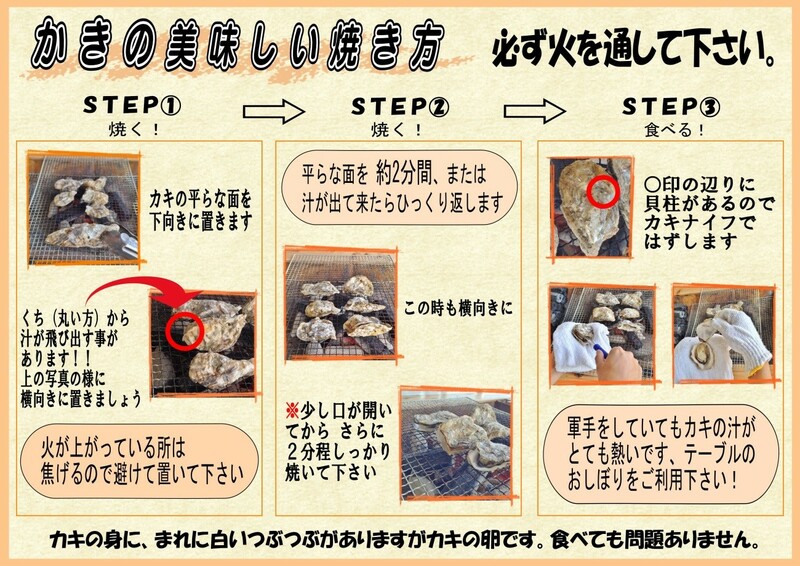 Next, follow the instructions on your table to cook the oysters. Place the flat side of the oyster face down. Oyster juice might squirt out from the part that is circled on the left side of the picture. To prevent this from happening, turn oysters sideways as shown. 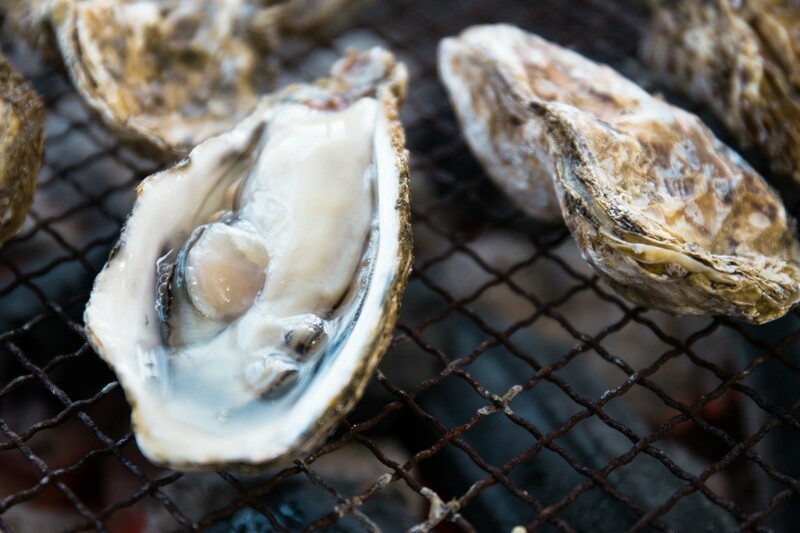 ※Don’t place oysters where you see flames as this could cause them to burn. Grill the flat side for about 2 minutes. When you see juice start to come out, it’s time to flip. *This time place them sideways as well. When you see the oysters begin to open up, thoroughly grill for an additional 2 minutes. Use an oyster knife to remove the oyster from its shell as shown in the left side of the picture. 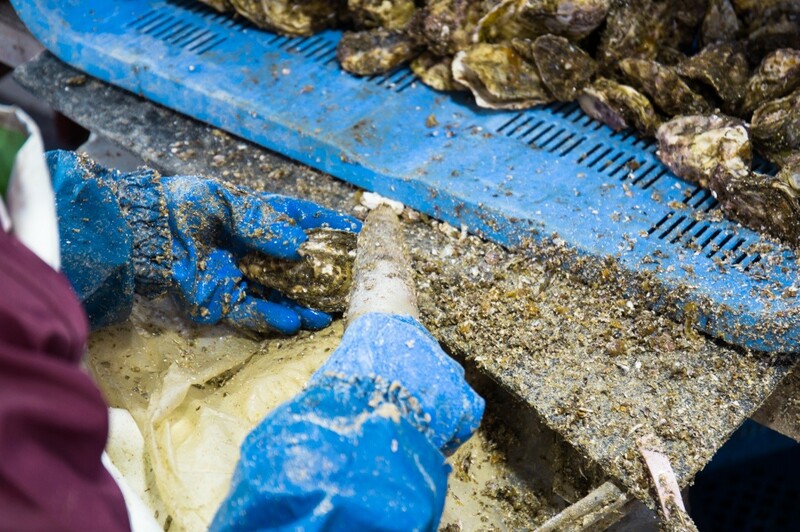 To prevent burns, please take care when enjoying the oysters even if wearing gloves as the oyster juice is very hot. You can also use the wet towel provided to protect your hands. Sometimes you may find white bumps on some oysters. These are just oyster eggs and completely safe to eat. 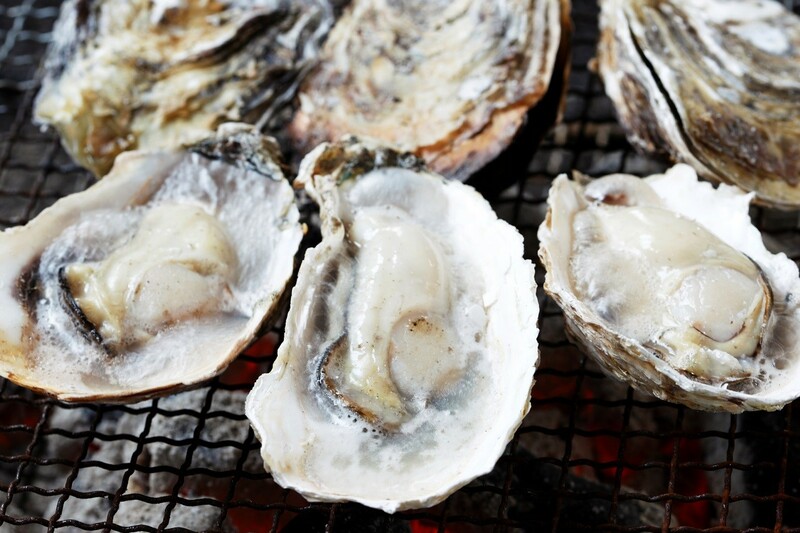 As you can see, your chewy, creamy grilled oysters will be ready to eat in just minutes! Pour some Ponzu* sauce… (*soy sauce and citrus juice blend). You will instantly notice their thick, creamy flavor. So delicious you will want to savor them in your mouth as long as possible. And they go great with alcohol! 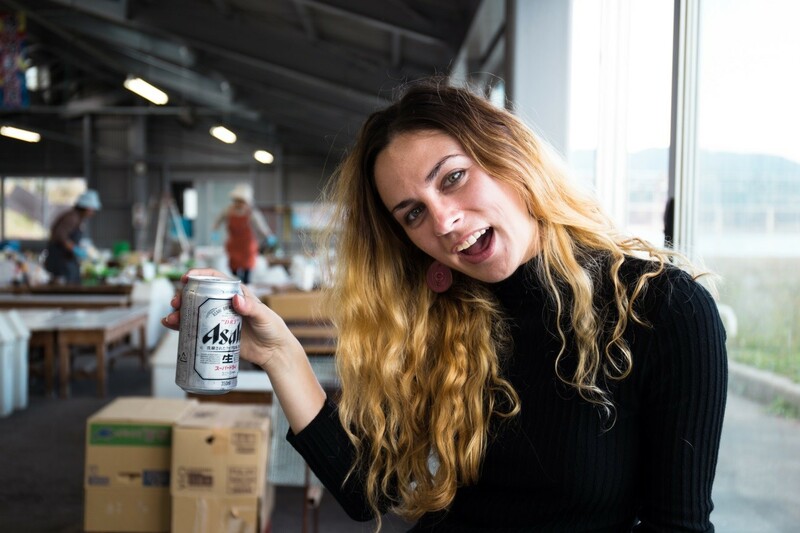 Both alcoholic and non-alcoholic drinks are available for purchase. ※If you are driving, make sure to order a non-alcoholic drink. Don’t forget to clean your table after eating. You can find garbage bins next to the table. 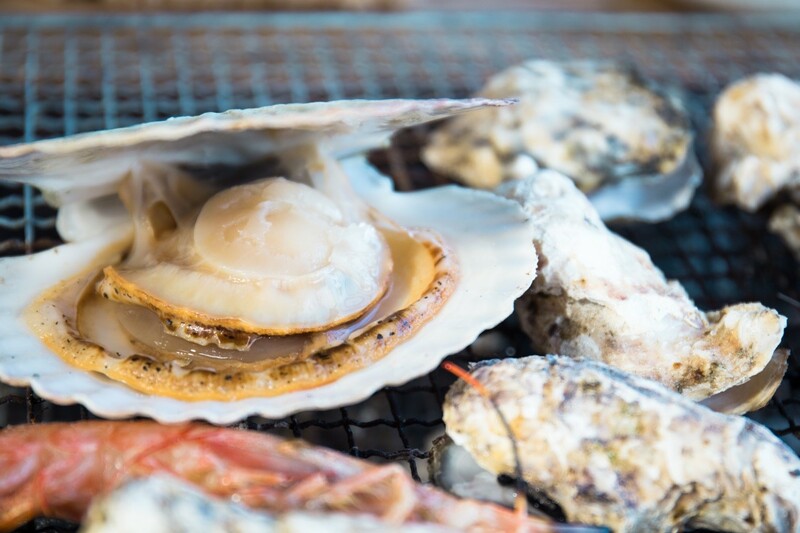 In addition to oysters, there are a variety of other options available such as scallops, shrimp, squid, oyster rice and rice balls. Did you know butter makes scallops even tastier? The oyster hut is always full of oyster lovers. 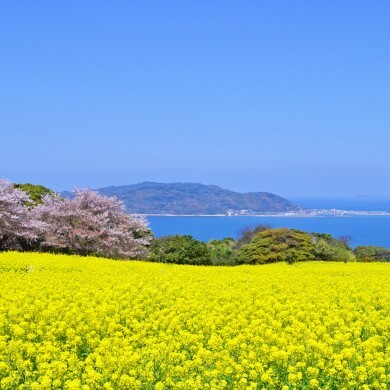 It is so popular that there is often a long line on weekends and holidays. 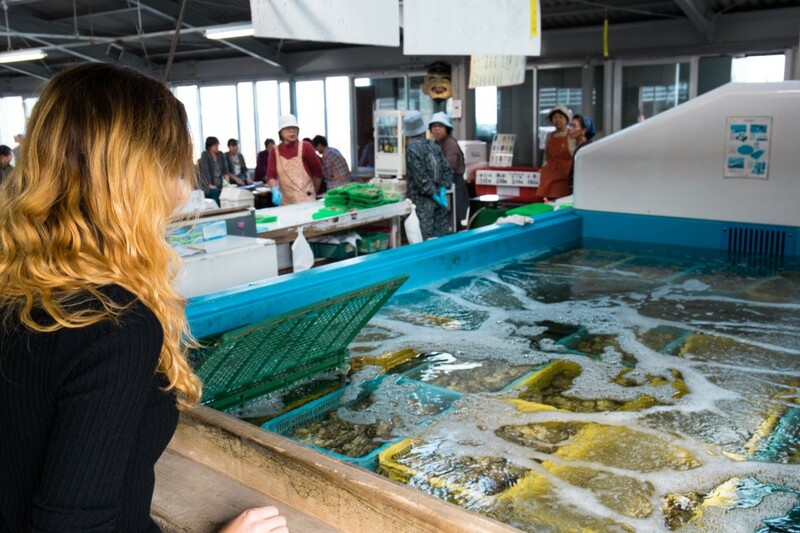 After we finished our oysters, we visited the Karatomari fishing harbor and got to see the full oyster production process. The oysters are first separated by size. 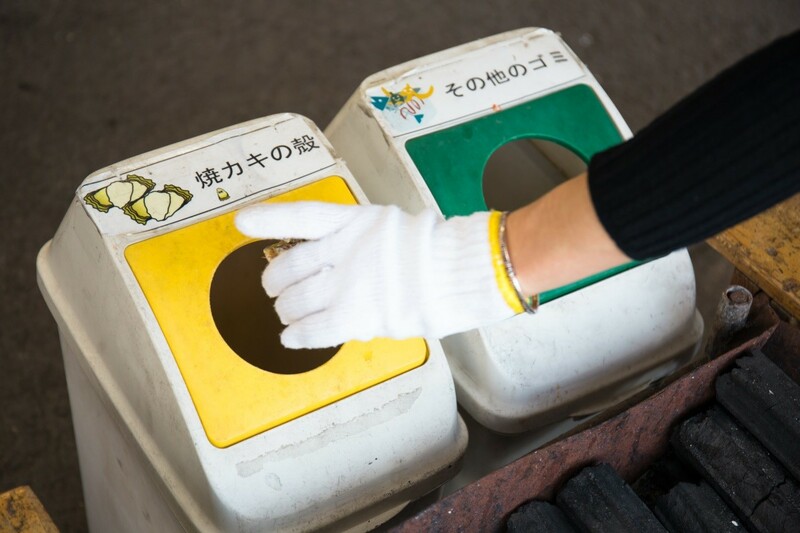 This process is all done by hand, removing any empty shells in the process. The shells are then polished to give them a smooth finish. This process is also done completely by hand. 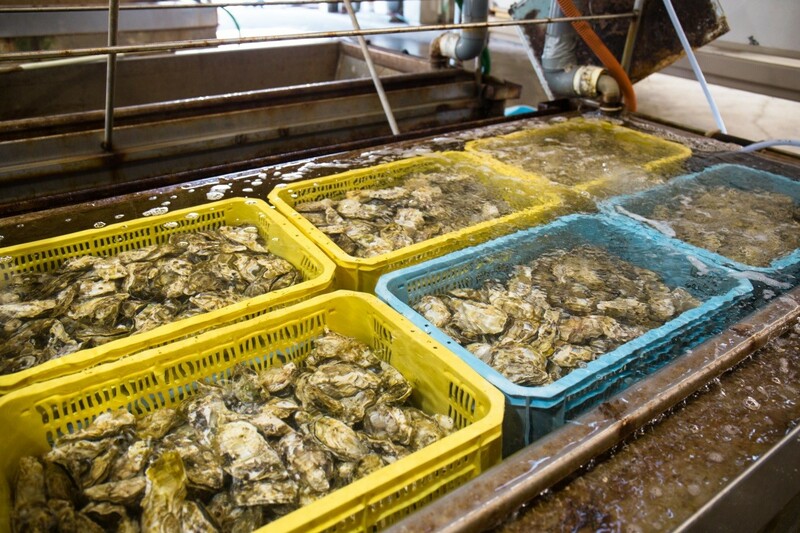 The oysters are then washed using filtered sterilized seawater. They are then kept in a tank of running seawater sterilized using ultraviolet and ozone sterilization methods (to prevent the spread of norovirus) for at least 24 hours prior to shipment. 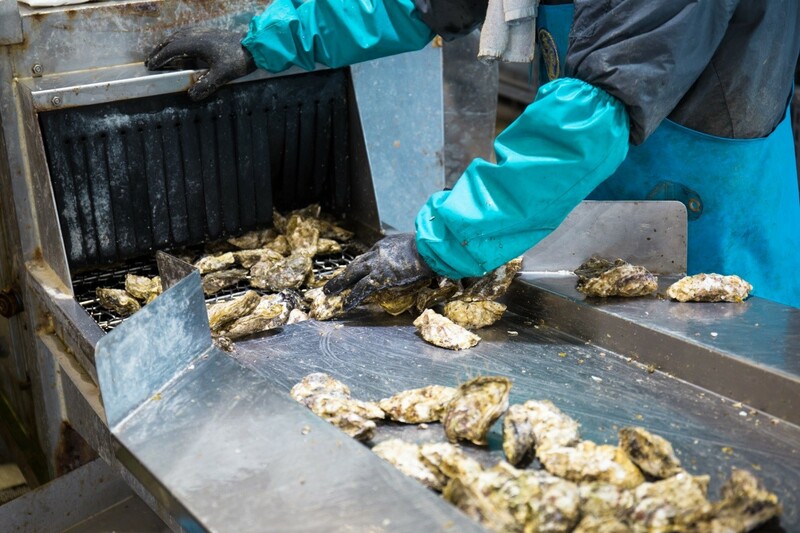 This process completely removes all germs and dirt from the oysters. 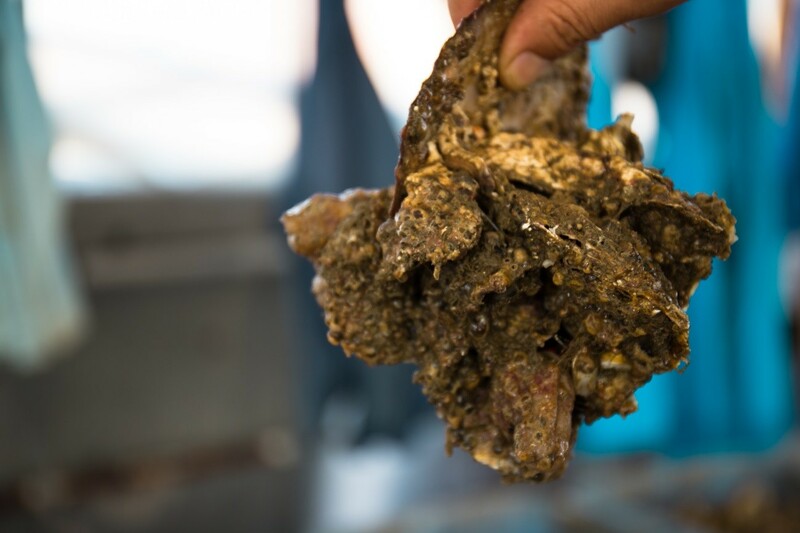 Thanks to their exacting safety standards and quality control, not only are these oysters used in luxury hotels and famous restaurants, but they are also even shipped abroad to Hong Kong. The oysters in the water tank looked perfect after being left there for nearly 24 hours. 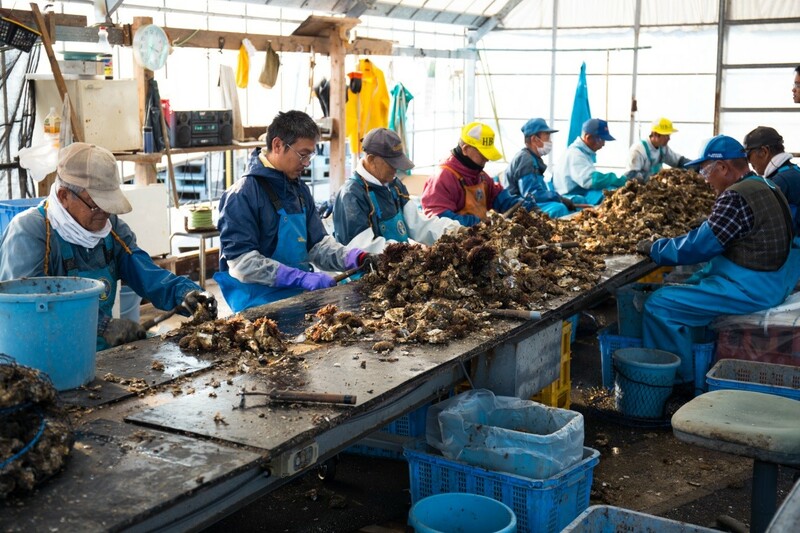 In addition to their strict safety measures, the facilities undergo a thorough health inspection each month, so we can recommend “Karatomari Ebisu Oysters” to you with confidence. “Karatomari Ebisu Oysters” were even selected as the 2nd best oysters in Japan in 2012 by a panel of 50 oyster connoisseurs. The best season for oysters is during the coldest part of winter from December to February. 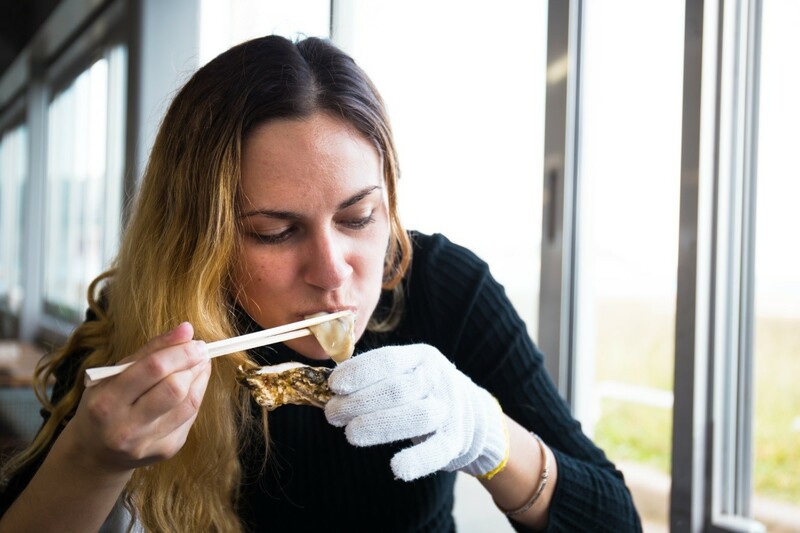 Why not try some “Karatomari Ebisu Oysters”, which are not only delicious but also meet the most exacting of safety standards, together with your friends and family? 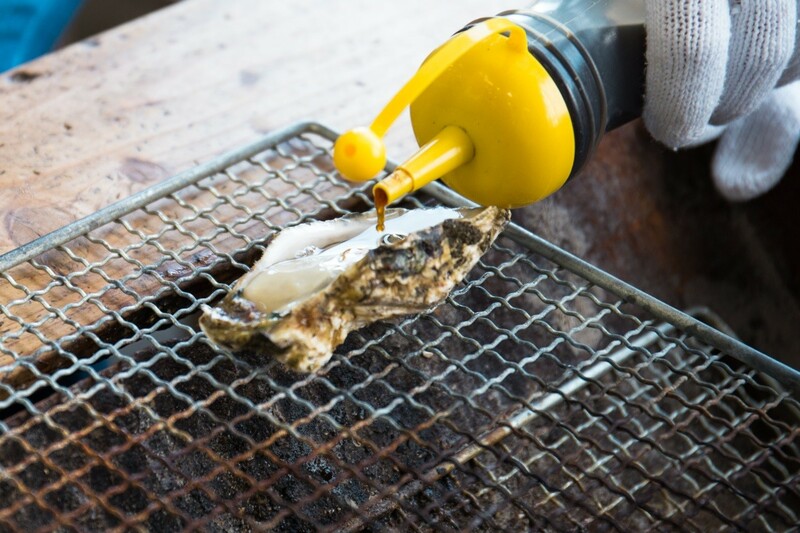 ※As juice may sometimes squirt out from the oysters, it is recommended that you bring a large towel or wear clothes you do not mind getting dirty.